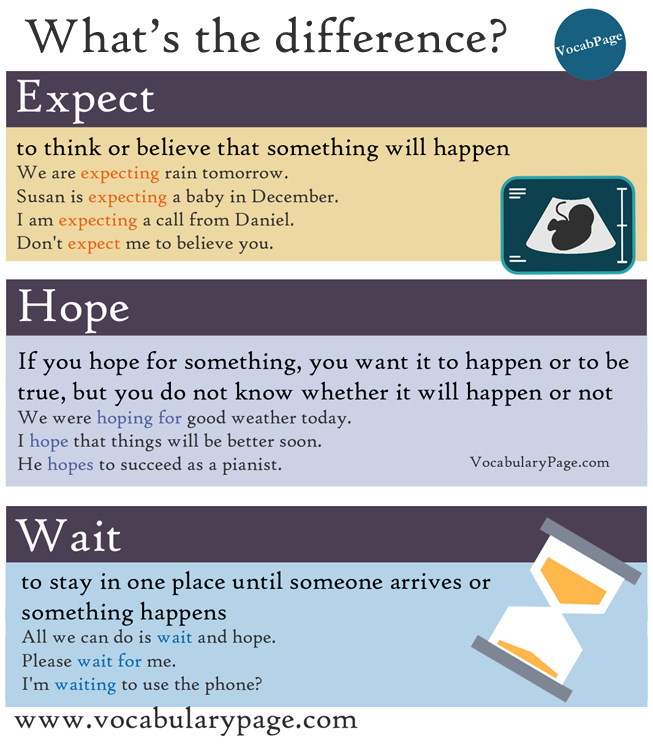 These three words, Expect, Hope and Wait, are often confusing for learners of English. 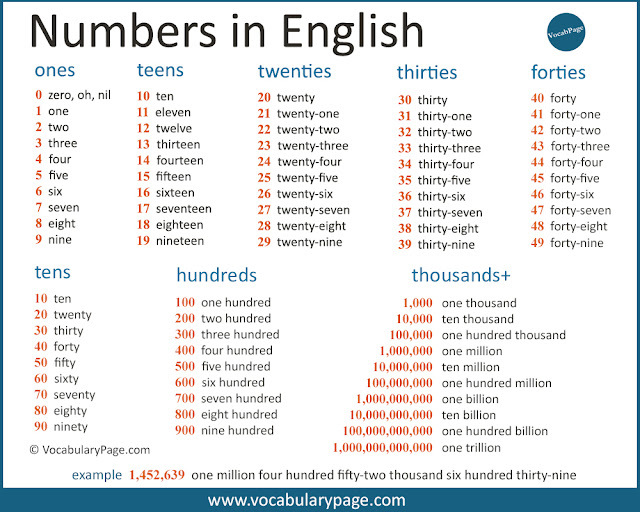 But they all have different meanings. 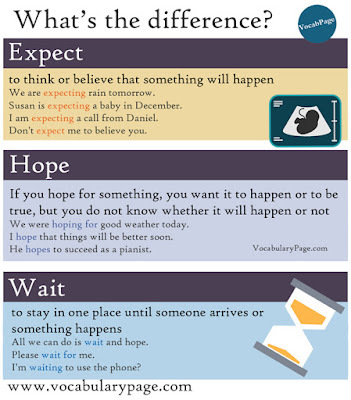 The verb to expect means 'to think or believe that something will happen'. If you expect something you have a good reason to expect it. Expect something We are expecting rain tomorrow. Expect something from someone I am expecting a call from Daniel. Expect someone to do something Don't expect me to believe you. Expect that... We expect that the weather will improve. To be expected... Sales are expected to soar. As expected... As expected, the news of his death shocked the family. If a woman is expecting (a baby), it means she is pregnant. Expect is always used in the continuous form with this meaning. Susan is expecting a baby in December. Expect is used to say you think something is probably true. Expect does not have the continuous form when it means 'think' or 'support'. If you hope for something, you want it to happen or to be true, but you do not know whether it will happen or not. Hope for something We were hoping for good weather today. Hope that... I hope that things will be better soon. Hope to do something He hopes to succeed as a pianist. 'Are you going out tonight' 'I hope so'. The verb to wait means 'to stay in one place until someone arrives or something happens'. Wait does not mean 'believe that something will happen'. Wait for someone/something Please wait for me. I’m waiting for a bus. Wait to do something I'm waiting to use the phone? Wait your turn You will have to wait your turn. We do not use expect and wait to mean the same thing. We wait until someone comes, until it is our turn, etc. We expect that something will happen or someone will do something. When we use a direct object after wait and hope, we have to use them with for. 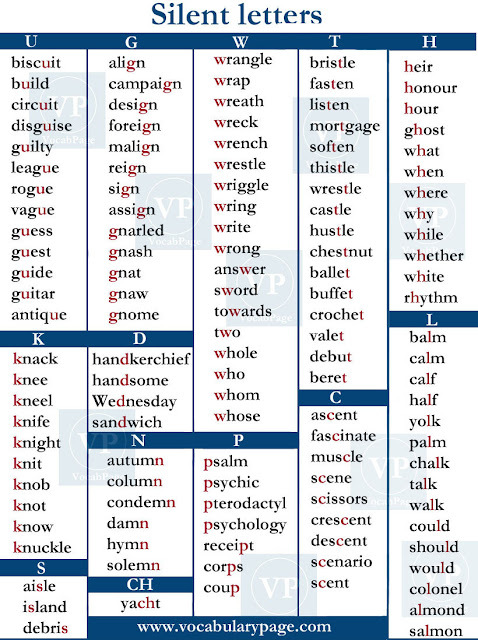 We use expect without a preposition. 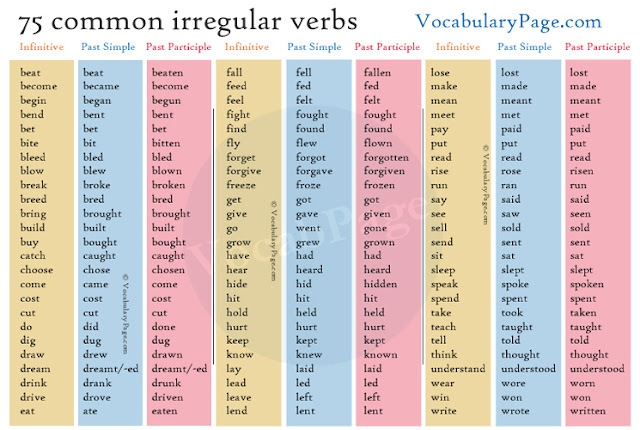 We can follow all three verbs by a to-infinitive. Wait cannot be followed by a that-clause.